This particular recipe had been on my to-do list for a long time, and happy as I am to have finally given it a try, I also regret not having tried this earlier; this is a keeper. The cake tastes fabulous just by itself, gets better as it matures for a couple of days and tastes even better with some cold ice cream or whipped cream and preserved orange slices on the side. We have had it every way, and delighted a few friends of ours too. This is the cake to have by your coffee cup, or if you would want a slice after your meal, make it elegant with some cream and compote. The refreshing, juicy oranges in different shapes and sizes are actually spilling off and rolling down the shelves for the past few weeks. We get them home one carton after another, and snack on them every time we walk by the counter top. The color brings the sunshine inside the home and the juicy dripping goodness provide all the satisfaction and Vit C that you need. For me, oranges and all its close varieties are like anti depressant. I like to eat them, zest them, drink a glass of freshly squeezed juice and bake with them. I have used the large Navel Oranges for this cake. 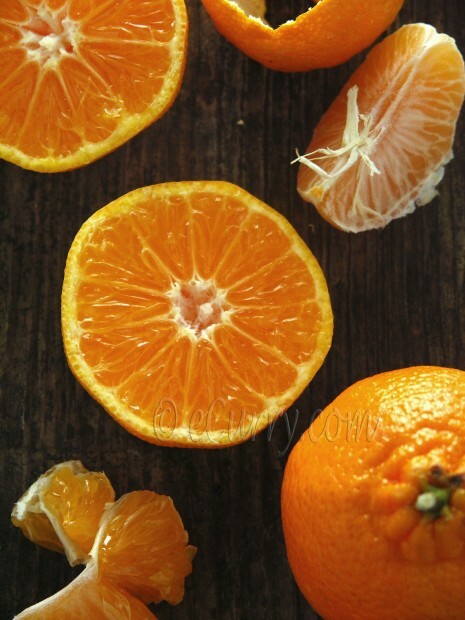 Why are these ones called the “Navel Oranges“? Because they literally have a belly button. Submitting this post to WHB#271 hosted by dear Graziana of Erbe in Cucina. 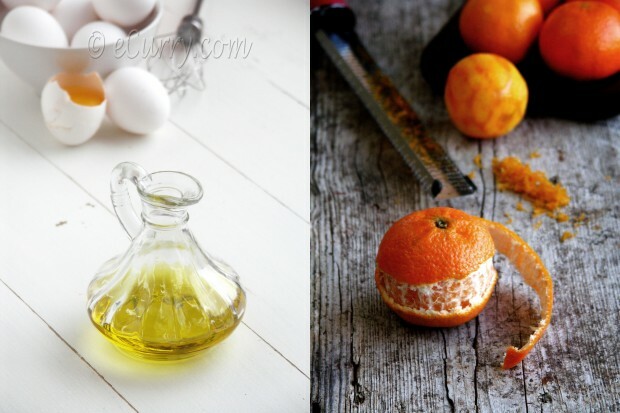 Oranges and Olive Oil make a perfect pair, light and heady with their fruity undertones. Here are some notes to compare. I have used part all purpose flour and part almond flour for this cake. While the almond flour gives it a nice nutty taste (and we really like that), it also alters the texture of the cake. If you want a smooth feel in the cake, use all purpose flour and no nut flour. I would love to use blood oranges to make this cake, just to see how the inside of the cake would look. But, any kind of oranges may be used. The recipes is easy and very quick only if you prepare the oranges ahead. The fruit needs to be simmered and cooked in sugar syrup and this is the only part that takes a lot of time. I had preserved the oranges two days ahead of baking the cake. While glazing the top of the cake, I had some leftover liquid and I slowly dripped all of it in the cake, resulting in a soft, moist, and dense dessert. The using up of the glaze this way really helps if you are using nut flour. Adapted from Orange-Scented Olive Oil Cake from Saveur. Note: The almond flour can be substituted with the all purpose flour. Trim about 1⁄2″ from the tops and bottoms of oranges; quarter oranges lengthwise. Bring 6 cups water to a boil; add oranges. Bring water back to a boil; drain. Repeat boiling process twice more with fresh cold water. Put oranges, 1 cup sugar, and 4 cups water over medium-high heat. Cook, stirring until sugar dissolves and orange rind can be easily pierced with a fork, about 30 minutes. Remove pan from heat and let cool to room temperature. (This step can be done ahead; a couple of days before you bake). Heat oven to 350° F. Grease a 10″ round cake pan and dust with flour; line pan bottom with parchment paper. Set pan aside. Combine all purpose flour and the zest. Rub the zest with the fingertips the flour. This releases the oil from the zest and hence the aroma. Add baking powder and baking soda to the flour and whisk them together; set aside. Remove orange quarters from syrup, remove and discard any seeds, and pulse oranges until it forms a chunky purée, 10–12 pulses. Beat sugar, almond/orange extract or orange blossom water, and eggs for 2 minutes. Combine the pureed orange. Whisk for another minute. Add almond flour, reserved flour mixture, process until incorporated, about 2 minutes. Add olive oil; process until combined. Pour batter into prepared pan; bake until a toothpick inserted in center comes out clean, 40–45 minutes. Let cool for 30 minutes. In a small bowl, whisk orange juice and confectioners’ sugar to make a thin glaze. Remove cake from pan and transfer to a plate/cake stand. Using a pastry brush, brush orange glaze over top and sides of cake; if you have any extra liquid, slowly drip it all in the cake. Let cool completely. Bring 3-4 cups water to a boil; add orange slices. Bring water back to a boil; drain. Repeat boiling process twice more with fresh water. Combine 1/2 cup sugar with 1 cup water in the pan and add the orange slices to the pan. Simmer at low to medium heat for about 15-20 minutes or until the the slices softens and the solution gets thick, syrupy and sticky. Remove oranges and reserve to garnish. 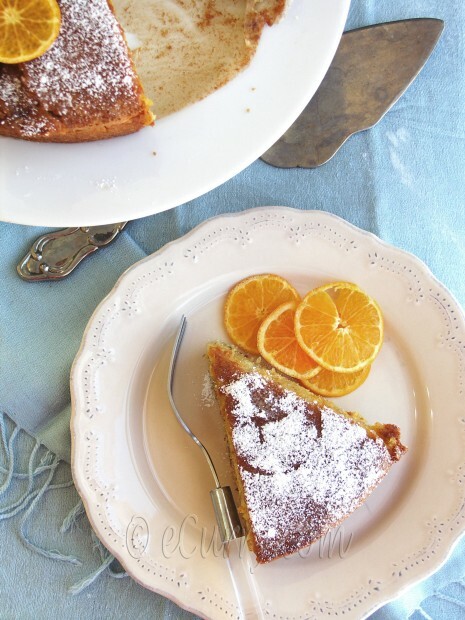 Garnish cake with confectioners’ sugar and orange slices. I had wanted to bake a rustic cake, brown and crisp on the edges with intense flavors. It might be plain cake to look at, but a bite will take you by surprise and you would want a slice again and again. I tried a similar recipe from Suganya for an olive oil pound cake a while back and loved it. The idea of it being olive oil and not butter somehow made it guilt free in my mind 🙂 And as expected your almond flour addition sounds yummm 😉 Do you buy almond flour or make it at home ? If I have to choose one fruit to have, it will be Navel Orange! Love love this fruit! And your cake looks and sounds fabulous, Soma. A gorgeously moist looking cake! I bet it tastes heavenly. Really like this cake with Mediterranean flavours… I almost can smell it from here ! Gorgeous cake and eye popping pictures. This was amongst the first cakes I tried years ago, and a mistake at that time! We could not appreciate the flavour of olive oil and it was my first time with olive oil:). Now I make most of my cakes in a similar method and we love them. It just takes a little getting to used to, esp. the olive oil. This one’s definitely a keeper!! I’ve tried a similar recipe from smitten kitchen using clementines and walnut flour which I used instead of almond flour. That was SO good too! Lovely photographs btw Soma!! Love ’em all! Just two days back I bookmarked this one, wonder how the olive oil could taste. The slice is simply awesome! Now I’ve another great bake from you to try! A few days back I made an orange cake .. eggless .. loved the flavours of orange in it. Will try with olive oil now. I tried a recipe some time back and actually made the mistake of replacing the lemon in the cake for orange , to make orange olive cake and it was disastrous! I was pretty disappointed because I thought orange and olive should work great together. I should give it another try with ur beautiful recipe! What a beautiful and delicious cake! love the idea of using olive oil! Your pics are excellent! wonderful and lovely pics, the cake looks too good and yummy, and olive oil in place of butter! great combo ! tht looks super duper moist..im always a bit wary to use olive oil thinking it would alter the taste so much..
wow , nice cake !! This OO & orange pairing is brilliant. Would love to have a slice with my tea this afternoon!! I really need not only cook but also back today and tomorrow. Soma….so wierd….as I was reading your post, I got a ping in my email and it was you who had posted on my blog! I love your photos. and also love cakes that don’t require frosting. I have recently started using almond flour and I love it. I’m sure blood oranges would add a wonderful color to this cake- the trouble is finding it. The cake sounds and looks fantastic ! I love all things orange, so this cake is something I would love to try…. I love that this cake uses almond flour, it always makes cakes very moist and tender, and the olive oil is very Mediterranean! 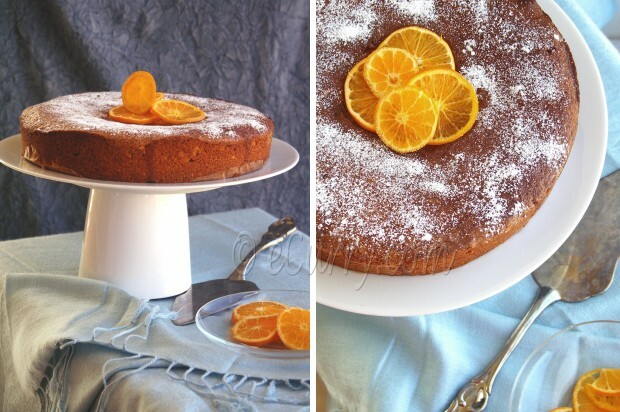 Hi Soma, how r u doing…….I can almost taste this cake, I’m bookmarking this cake….as he loves orange cakes in my house & as U said he wants to use zest of each & every orange we eat…..I also love to use almond meal in my baking as for olive oil, baked twice with that…. I love citrus-flavored cakes and pastries and this one is no exception! Had made one version but yours with the almond flour sounds even better! this cake looks awesome! I love orange cakes, adding olive oil is a nice twist. Love ur photos. Yes it can be. But the entire essence of this cake is the pairing of the orange and the olive oil. Believe me, you will NOT smell the olive oil at all! There is a lot of oranges in this cake, from whole oranges to zest and the refreshing flavor of orange is all you will have. I have a 5 year old at home, and this is one of her favorite cakes. I can imagine how lovely this cake must smell! And, it looks so great with the sliced oranges on top. 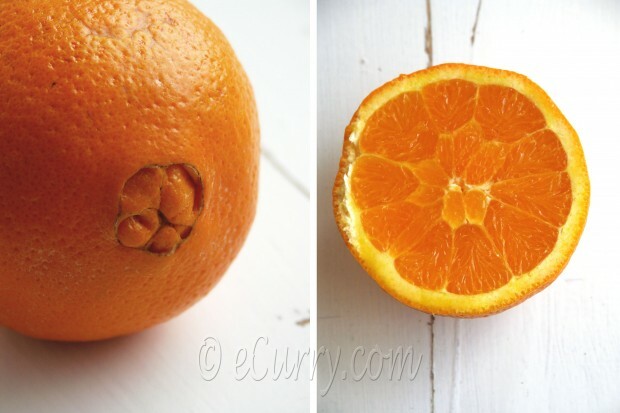 This is a fantastic use of oranges while they’re in season! 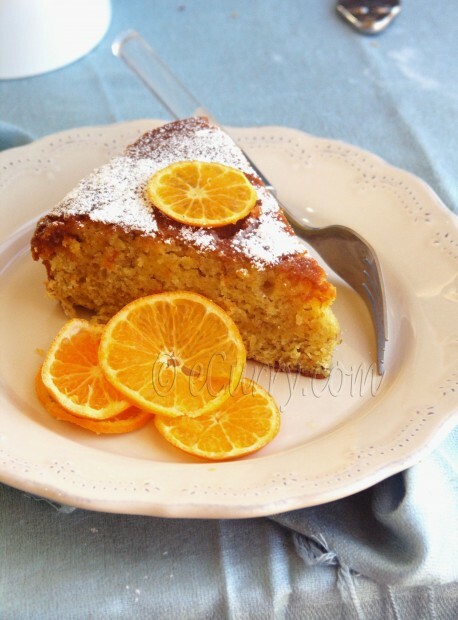 I love orange cake, especially made like this it’s so delicious! Looks and sounds lovely, Soma! I’ve been curious about olive oil cake for a long time. It seems like I can no longer resist after your lovely rendition :). 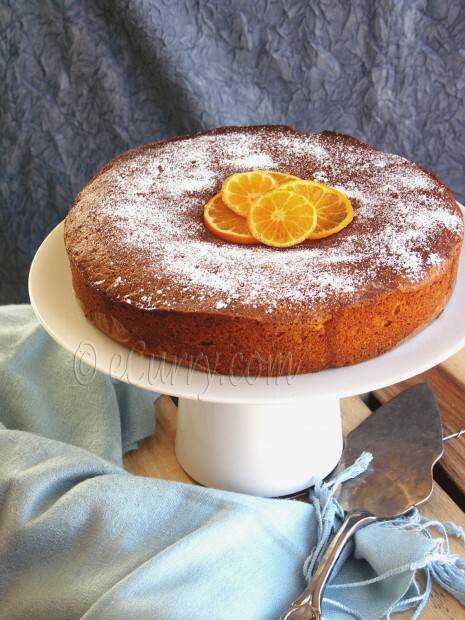 Navel oranges are in season here in sicily, I should try this cake! Thank you for joining to WHB. Wow the cake looks absolutely moist and love love the recipe.. sure its bookmarked.. awesome pictures .. seriously tempted to have that single slice. A male friend of mine made this cake last week and he kindly brought me a piece. OMG!!!! I am in love. So delicious with hot black coffee. Ay dios mio! I’m making this cake for a party next weekend. I may have to make a few test cakes first though. What do you think? Thank you for this beautiful recipe – It was a surprise birthday cake made for me by my boyfriend this weekend. Greatly enjoyed by all!! Made this for hubby’s b’day and blogged about it..a great recipe, though i used mausmi and not oranges..maybe thats the reason that it came out to be a little sweeter than i wanted. Thanks for this recipe! I will cook it soon and I hope that mine looks as good as yours!